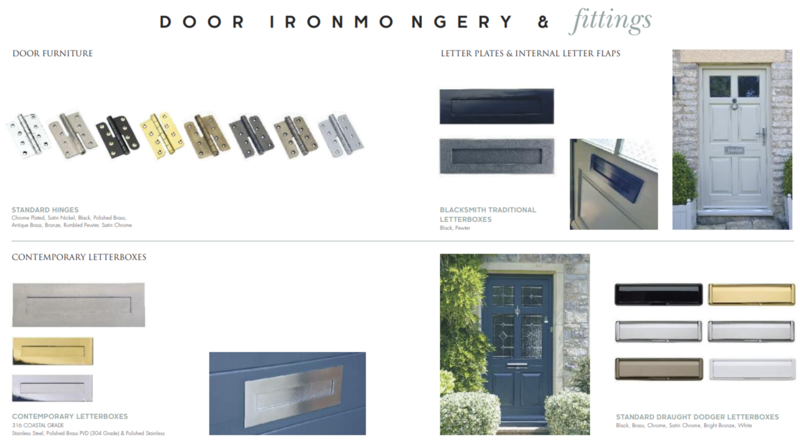 We offer an extensive range of ironmongery may be added, including elegant period handles, traditional letter plates and knockers from our Samuel Heath collection. Who are Samuel Heath? 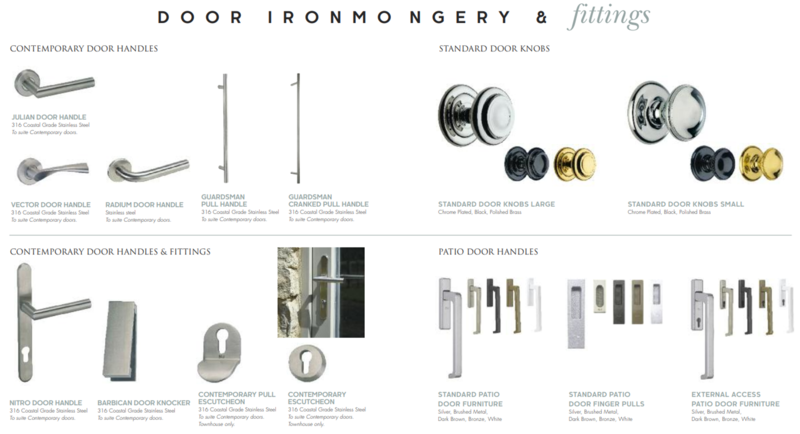 They are an internationally renowned manufacturer of door hardware products. 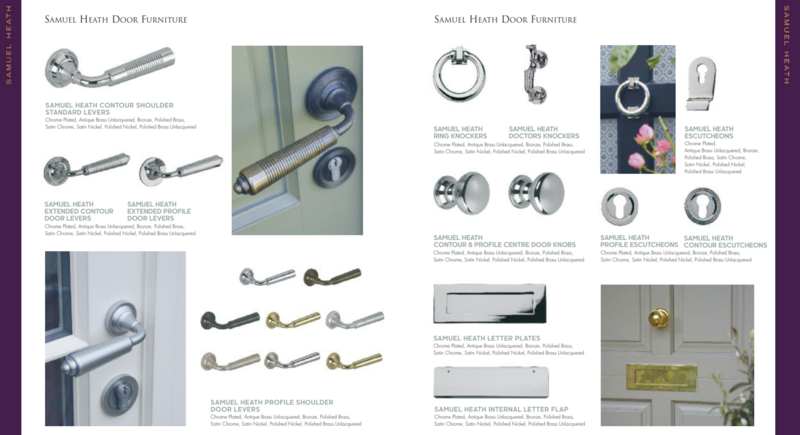 Founded in 1820 in Birmingham, Samuel Heath have established themselves as a market leader in innovative, high-quality brassware which add the ideal finishing touches to your beautiful timber windows and doors. 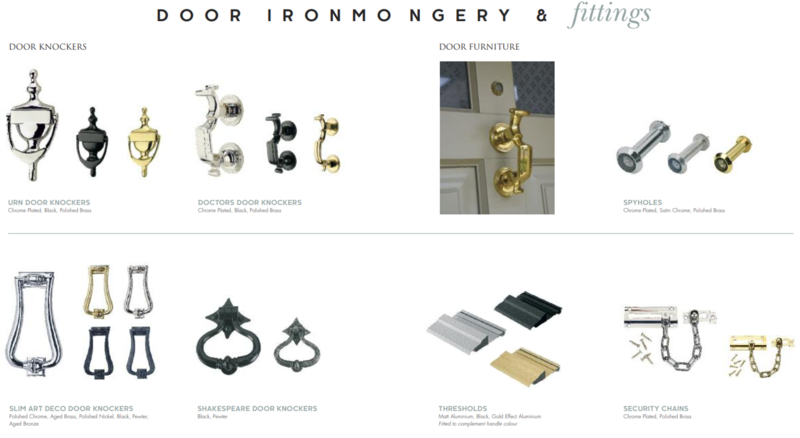 Centre Door Knobs - These weighty door knobs complement our range of Victorian, Edwardian and Georgian door sets perfectly and come in 12 different finishes ranging from polished nickel to antique bronze. 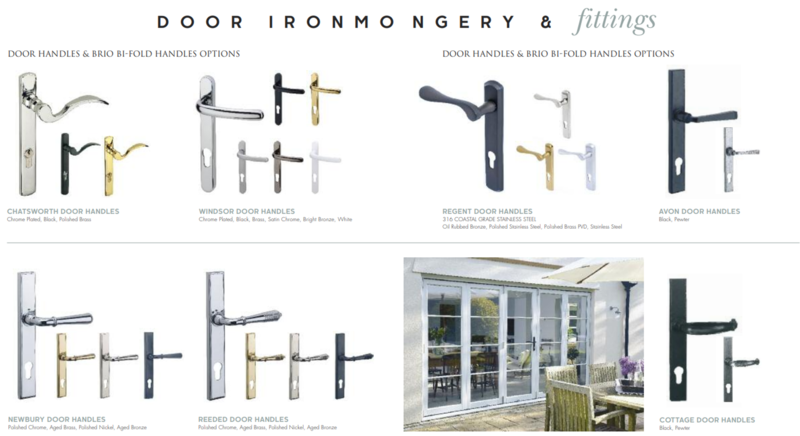 Door Levers - Contemporary or traditional lever handles with separate escutcheon plates add a touch of class to our doors and are also available in 12 beautiful finishes. 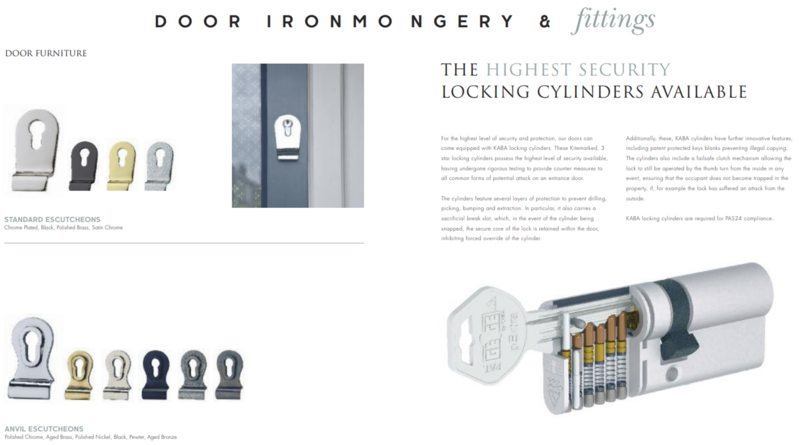 So whether you are looking to add the finishing touches to your new timber windows or doors or you’re just upgrading your current door hardware then visit our showroom today or give us a call to arrange an appointment.